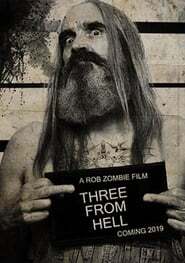 Rob Zombie does not stop. After completing the filming of the expected ‘3 From Hell’, he has embarked on the Twins of Evil Tour, a concert tour in which he and Marilyn Manson take The Bouncer turns on stage before a dedicated audience. In case they did not have enough, the lucky assistants of the last bolo have witnessed the premiere of the teaser of the continuation of ‘The renegades of the devil’, Hereditary Spaulding, Otis and Baby included. In 2003, Zombie dared to make the leap to the direction with ‘The House of 1000 Corpses’, a blatant horror film in which we met the dangerous Firefly family. His tribute to the genre was not there and, taking back three of its protagonists in a sort of spin-off, premiered in 2005 ‘The renegades of the devil’, wonderful savage in which his three protagonists were carried away in a full-fledged escape of blood, gasoline, ice cream tutti frutti and bullets of all calibers. Twelve years later, and having confirmed his career as a director with other titles that, while not exactly masses, The Dark have ended up becoming the raw material of tattooists and genre scholars with an overall vision, Zombie has once again put the Firefly of the camera.